The Rise & Fall of the Cleveland Mafia – Back by popular demand, Rick Porrello returns to tell stories about Cleveland’s history with the mafia. Pulling on stories from his book “The Rise & Fall of the Cleveland Mafia”, Porrello tells the fascinating chronicle of a once mighty crime family’s birth, rise to power, and eventual collapse. 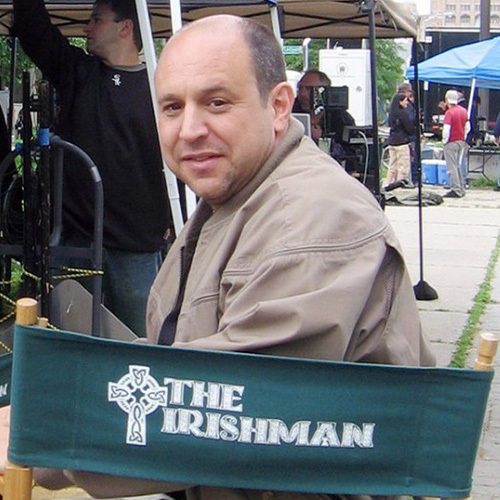 Rick Porrello is a police chief, drummer, and author of three books including To Kill the Irishman – the War that Crippled the Mafia which is now a major motion picture starring Ray Stevenson and Vincent D’Onofrio, with Val Kilmer and Christopher Walken, and was also the basis for a documentary. His current title, Superthief – A Master Burglar, the Mafia, and the Biggest Bank Heist in U.S. History was the primary source for a documentary and is in development for a motion picture. Rick is executive or consulting producer on several film projects. He is a popular presenter of Cleveland mob history, and his writing, publishing and book-to-film experiences. In addition to his career in law enforcement and interest in writing, Rick is an accomplished jazz drummer who spent two and a half years traveling internationally with the great Sammy Davis Jr.